Amazon.com Inc is making a push for merchants on its website to sell goods into other countries, setting the stage for greater competition with rival marketplaces run by eBay Inc and potentially Alibaba Group Holding Ltd.
More than a quarter of all revenue for sellers on Amazon globally was from cross-border transactions in 2017, up more than 50 percent from the year prior, Amazon Vice President Eric Broussard said in an interview, ahead of his Tuesday speech at the ShopTalk conference in Las Vegas. That amounts to between $50 billion and $75 billion for merchants selling to customers in another country, based on analysts' estimates for Amazon's total gross merchandise sales. Amazon does not disclose the figure. The cross-border increase - outpacing Amazon's 31 percent rise in overall net sales - represents a massive opportunity for the world's largest online retailer. That is why Amazon has encouraged merchants to list ever-more products on its websites around the world, which could make its marketplaces more desirable to shoppers than those of the competition. "The speed with which sellers have been selling globally has accelerated over time," said Broussard, who oversees Amazon's international marketplaces. 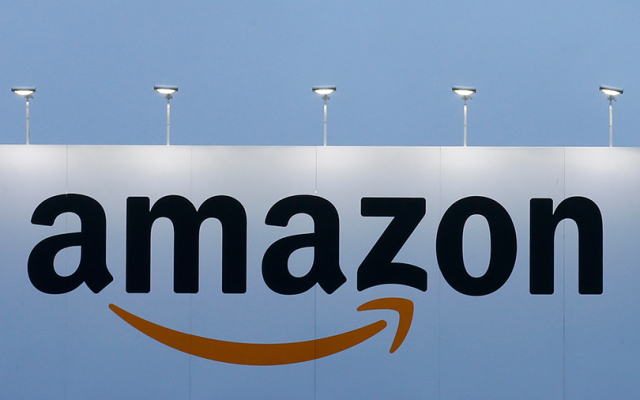 Global trade has been crucial to Amazon and its e-commerce competitors. In a 2015 news post online, eBay touted cross-border sales as one of its key strengths. It said cross-border represented about 20 percent of its gross merchandise volume in 2014, or $17 billion. The company declined to offer a figure for 2017. Last month, eBay's chief executive told Reuters the company planned to bring "the world's inventory into Japan" as part of its global expansion. Alibaba, meanwhile, recruits companies to sell into China, and its unit Tmall Global features products from brands in 63 countries and regions, it has said. Critics of Amazon have said there are too many counterfeit products from China on its U.S. marketplace. Amazon prohibits the sale of counterfeit goods and has said it is investing heavily in programs to keep them off its platform. For Amazon, a key way it attracts sellers is by renting space in more than 150 warehouses worldwide so merchants can store inventory near customers - without the hassle of exporting each order. Amazon operates 13 marketplaces globally. "A customer shops in German, pays in euros and gets very rapid fulfillment" for a product from a U.S. seller, for example, Broussard said. Tech Armor, a smartphone accessories maker near Los Angeles, said that its business was growing faster internationally than in the United States and that it has shipped more than 12 million units through Fulfillment by Amazon (FBA) since 2012. That has come partly from Amazon's encouragement. "Someone from the FBA business called," Tech Armor co-founder Joe Jaconi told Reuters. "They wanted to talk to us about Canada." Amazon takes a cut of merchants' transactions, which for jewelry can reach 30 percent of a sale fulfilled by Amazon, said Elena Castaneda, founder of Bling Jewelry in greater New York. Amazon's net sales from seller services was $32 billion in 2017. Castaneda said this was worthwhile. "Say I do $1 million in Amazon U.S. If you take all of Europe and you do all five countries (with Amazon Marketplaces), it would almost be equivalent to the amount you do in the U.S.," she said. Exports by sellers on Amazon - where merchants handle the fulfillment to foreign countries - increased by nearly 30 percent in 2017, Amazon said.